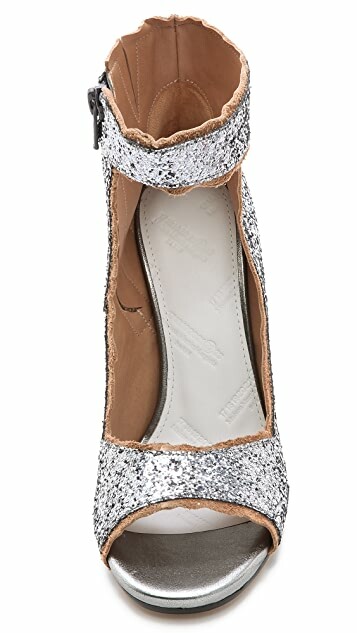 Shimmering glitter puts a glamorous finish on these sculptural Maison Martin Margiela sandals. Scalloped, brushed leather edges add a natural element. Peep-toe styling. Hidden side zip. Covered stiletto heel and leather sole.